After a month of absences, Bruce Geryk more than makes up for it in a tour de force conversation with special guest Bill Abner as they relive the fun of 1970s baseball simulation games. We open with a discussion of Blood Bowl, which Julian finds too difficult and Troy finds too easy. Then Tom, Julian and Troy sort of fade into the background for an hour. Until Troy learns that someone else has heard of Sher-Co Baseball Simulation. 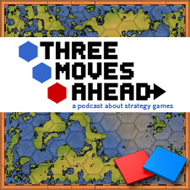 Listen to learn what kind of person replays historical seasons, why Blood Bowl is really a wargame, and whether sports simulations can ever measure up to the beauty of classic Championship Manager. Also an update on our Dominions 3 game, a promise to eventually get Bruce’s side of the story, a quiz game from Tom Chick and a hip hop conclusion. Good to hear Baseball sims being talked about on this fine strategy gaming podcast. I’m an OOTP fan myself. There are Elves in Dom3… They are call Sidhe (which is this fancy-schmancy word some people use for elves) and are in at least one of the EA ‘Celtic’ themed races. I confess I’m not really a sports fan, but I do remember playing All-Star Baseball when I was younger. You would take a cardboard disc and put it into a spinner slot. I remember Pete Rose had a HUGE chance to hit a single. It was a ‘strategy-free’game, in fact thinking was not even a requirement to play the game. Off topic I just wanted to say that it’s kind of cool hearing Tom and Bruce. Their battles in Computer Gaming World magazine were pretty epic and hilarious. In fact I bought Dominions 2 after reading the battle they had in the magazine and then reading the Tutorial that Bruce wrote to help out newbies. Also I recently bought Armageddon Empires after hearing about it from you guys. That’s an incredibly good 1-player strategy game that will be on my hard drive permanently. Make sure you have Vic Davis back again to talk about his next game. I was kind of disappointed when I read that he was on the very first podcast and the sound got messed up. OK, I HAVE TO ASK; this is a strategy gaming podcast but you haven’t ever mentioned my favorite strategy game, “Montjoie!” I suspect the game didn’t do much marketing outside of France, which is the reason nobody knows it exists. The strategy of the game rewards you if you plan your moves carefully, but it never reaches the point where you feel overwhelmed by the choices, e.g. Chess. If you haven’t already played it try the demo its only 35meg. The game was released in January 2008, the interface is way above average, and the AI is pretty much as good as it gets outside of playing against SkyNet. P.S. My favorite part of the podcast is when Tom offers to get everyone coffee, because honestly everyone likes coffee. Good to hear Bruce is back, but we almost lose Tom in the sports based mayhem. An interesting ‘cast none-the-less, well at least until we get deep into the 1970’s baseball heroes..
As a European/British listener I’d just like to clarify that we call the sports American Football, Football and Rounders ;). Whereas “over the pond” its Football, Soccer and Baseball. This side of the briny, the term “soccer” has a derogatory slant to it, that I can’t quite explain – I think it just doesn’t quite fit with what we term “the beautiful game” – perhaps it should be called European Football for diplomacy sake? I dunno. In the interests of good relations, I apologise for the ‘Rounders’ dig at Baseball in my previous sentence. :) I should add that I’m in a minority over here where I actually prefer US sports to most European ones. Basketball was my favourite and I spent a good while loving NHL until the NFL enticed me to it with its strategic plays, however I’ve always struggled a bit with baseball.. in a similar way I find cricket utterly dull. My problem with Blood Bowl is it combines two themes into one game that I don’t think works very well, or I should say lacks a certain amount of artistic credibility. To be honest, I’d prefer a proper American Football strategy/board game with actual players and stats, or I’d prefer a more traditional Warhammer fantasy themed combat game, where the units didn’t have to pretend to throw a ball around for whatever unholy reason. I think the combination, although quirky and perhaps even clever, just alienates my enthusiasm for fantasy strategy games and my enthusiasm for American Football strategy games. I’m sort of getting a hybrid I don’t believe in. Since the computer game is derived from a board game, there must have been many people who enjoyed the theme clash, I guess it might have been used to introduce Warhammer to more Americans when they first developed it. Since I’ve never played the board game, can someone tell me are there always so many turnovers during play? I got to the point, where I was limiting my moves simply because the chance that the next one would be a turnover was too strong to position all my players where I wanted them to be. Seemed counter productive to the actual strategic moving play. The AI boxing mechanism also came across as ridiculous, why not attempt spread and passing plays or pass and run plays instead? I would often win because I could cut a swathe through the box and grab the ball and run for it. It was an interesting pursuit for a while, but I think the fact that the theme itself leaves me cold, I can’t see me playing it much more than my cursory dip. Regarding a game like Championship Manager, I’m of the sort of player who likes the visual feedback that the later iterations present to you, in fact when the franchise went over to the Football Manager name they were at the point of presenting the key plays using 2d dot position markers, and you could watch out the play and get a more organic feel for who was doing what, although they still support the textual information also. Lastly, I was jumping up and down shouting “I know!, I know!” to the last question Tom posed for fake sports, when he said ‘Jugging’. Mainly because in the UK the film “Blood of Heroes” was released with the title “Salute of the Jugger”, so I guess I had an unfair advantage there. I would love to see some strategy posts from the players perspective regarding the Dominions 3 game, because at the moment its all a bit nebulous, we need screen shots and tactics and commentary to bring it to life. I realise that would be easier to do after the game, but in the interests of bringing Dominions 3 alive for many listeners I think a rolling post from the players would be very exciting reading, to accompany the debrief at the end of the podcast show. After Action Reports are very interesting reads, but what could be more thrilling than an In the Action Report as it happens? There are a lot of turnovers, if you play not careful. Guarding your ball carrier, keeping the ball out of range, and only use extra moves if you really need them. I play in a league using the board game and we sometimes have 6 or 7 turnovers, but sometimes also non. It really depends on the teams that are matched up. Well .. and I really can understand Spelk on the Jugger thing. In Germany the word Jugger was in the title as well.. and we played a LARPish version in the park some tenth years ago. I was wondering why you did not make the connection to BloodBowl, since for us it always was the closest thing there was to a LARP BloodBowl. “Art of Blocking” by By Ian ‘Double Skulls’ Williams .. You find it on he GamesWorkshop pages in the BloodBowl resources. It helps a lot to really know what you are doing and how to do it better. Also the play books there are a good read. I’m not a particularly sporty guy, but my view on sports simulators is that I’d rather play the sport for real. Management games are slightly different I suppose, but as I think one of you said, I’d rather play a full-fledged strategy game than number-crunch for hours so a team I don’t really care about can finish as fourth that season. I’ve played Blood Bowl with friends a couple of times (the board game that is), and while it’s kind of fun it just seems a bit too random to me. Playing my second game I won against a fellow I know to have over a hundred games under his belt just because I was lucky with the dice roll on a couple of occasions. Doing a real sort of LP-style report sound awesome. I’m already expecting great things! Gosh darnit Tom, the lead singer of Radiohead is THOM YORKE! How dare you disrespect the best band in the world! Other than that, great podcast, I really enjoyed listening to Bruce talk about those sports games. I love how Bruce was talking the whole time, and Troy finally said something when Tom asked what “podracing” was from. And then he named the exact movie it was from, not just the series. And if Tom didn’t cut him off, he would’ve named the minute and the second the word was spoken in the movie. And how fast Anakin’s podracer can go. I remember my All star Baseball board game. It had disks for Babe Ruth, Mickey Mantle, and…Dale Sveum. Never figured that one out. I was all about Strat-O-Matic Baseball, though. So many delicious charts, from Ballpark Effects, to Strategic Stealing, to that one that showed how many days’ rest a pitcher needed. I can still remember the starting lineups and stats from all 26 teams from the 1986 season, which was the only season I could ever get my mom to buy me. Hubie Brooks was godlike, Dave Stapleton was ludicrously terrible, Calvin Schiraldi was unhittable, and John Butcher was the worst pitcher who ever lived. In the “additional players” pack (each default roster had only 20 players), there were some even bigger statistical freaks. I second Spelk’s call for some strategy posts from the players perspective regarding the Dominions 3 game. I think for someone who is not familiar with the game, the current commentary is hard to follow. I sometimes wonder if you guys ever looked at Bruce’s manual or have read the tutorial. To not know that you need to search for magic sites is very bad. Elephant troops would mean more if your audience learned about the trample ability and the elephant weakness (the low morale). And no mention of what a Bless is. I am glad you are talking about Dominions 3 (my all time favorite game) but I want you to do the game justice so it will attract more people. I look forward to hearing Bruce’s tale. you CAN’T win a blood bowl game with only two lucky roll. i think that guy is not the best blood-bowl player ever. sorry for my bad english.